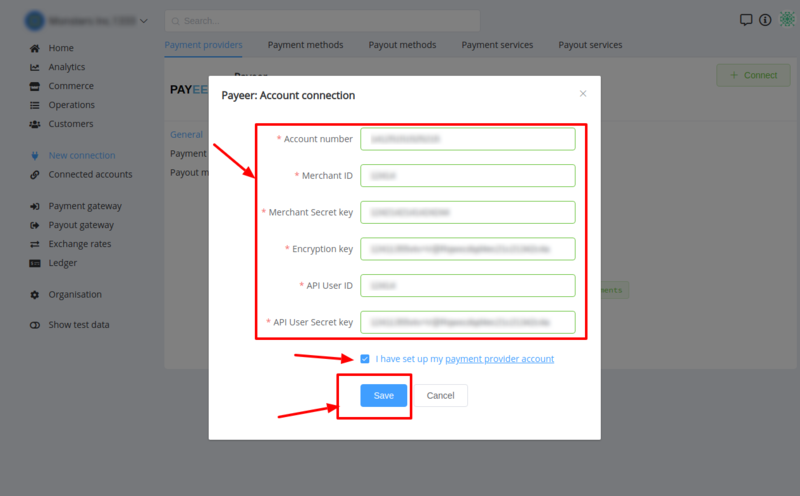 Here You can find instructions for setting up Payeer account. Copy this parameter, whereas this will be unavailable henceforth! As default system redirects user to the Merchant configuration page automaticaly. As default system redirects user to the Merchant configuration page automaticaly. As default system redirects user to the Merchant configuration page automaticaly. It shoud consists of 32 symbols. You may generate it using any service You want. Copy this key before confirming changes, whereas this will be unavailable henceforth! 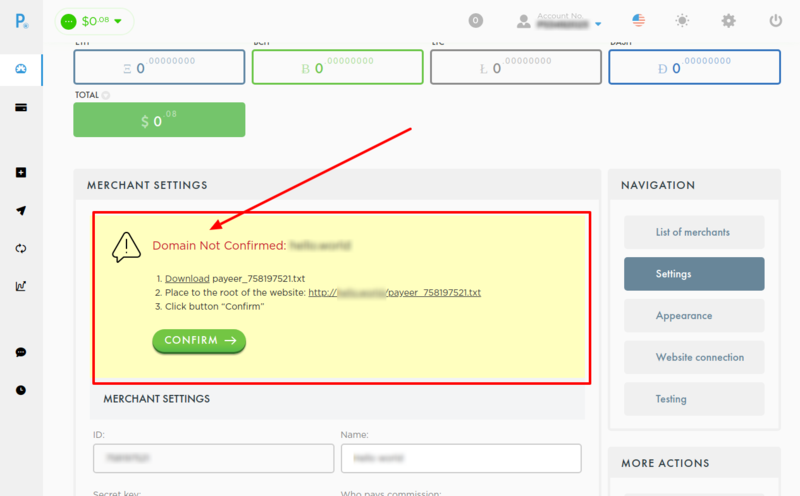 PayCore.io will overwrite this properties in request. 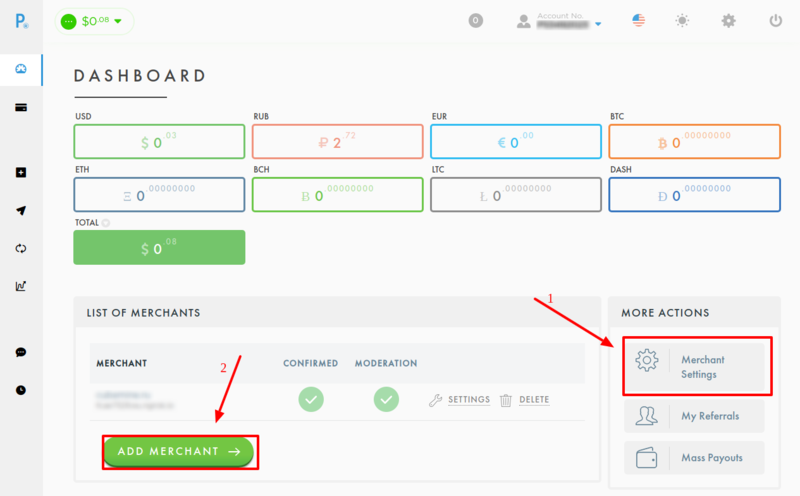 It is located at Merchant configuration page! 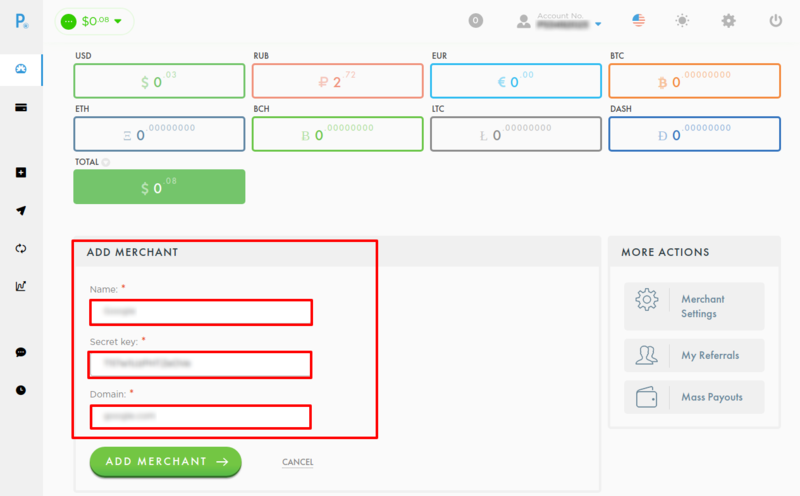 IP list should contains IP adresses separated with ;. 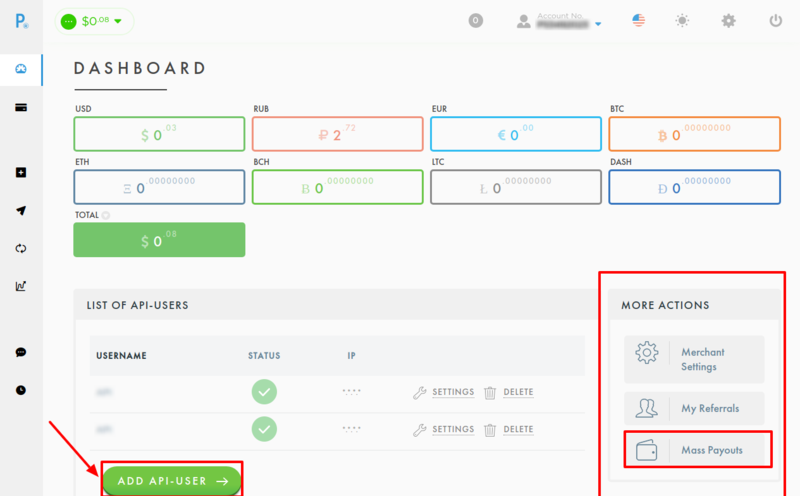 Note, that API User configuration can be modified at API User configuration page! 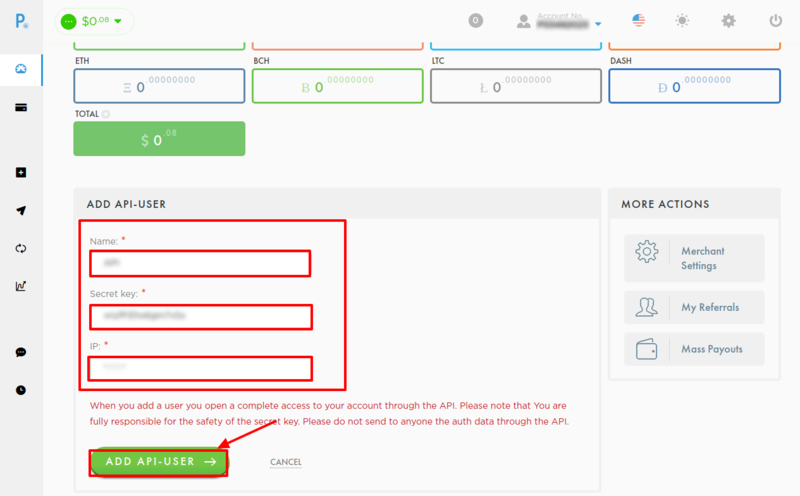 It is located at API User configuration page! 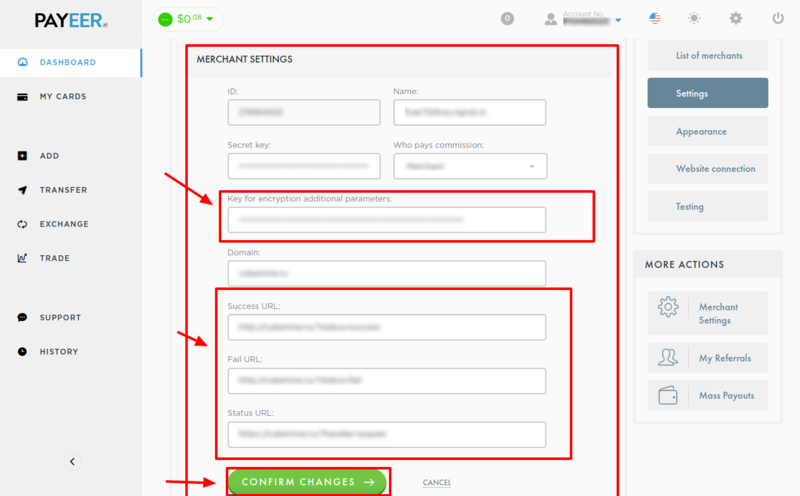 Press Connect at Payeer Provider Overview page in New connection section to open Connection form!